What is Golf With Friends? Golf With Friends is a golf program for beginners ages 18 and older that includes lessons PLUS rounds of golf with an experienced golfer. The rounds with a friend enable you to GROW COMFORTABLE and GET ACQUAINTED with the game. Our goal is to help you feel at ease on the golf course, develop confidence, and return to play many times after the program. Attend 3 group lessons at a participating course. Invite a friend who golfs to join you for rounds on the course to show you the ropes. Your friend plays for FREE! Book a tee time at a participating course for you and your friend. Fill out the form, print and bring in to any participating JC Golf Course to get started with Golf With Friends. 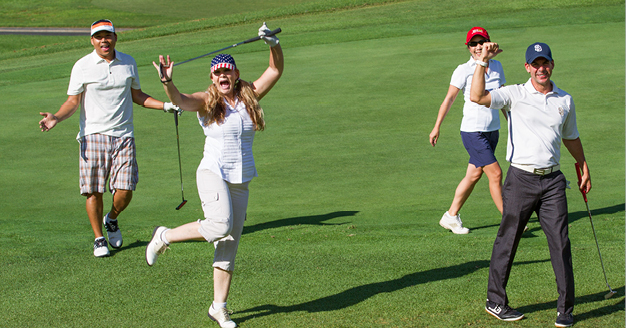 Get out and play on the course with a friend who golfs and gain the confidence and ability to return time and again! 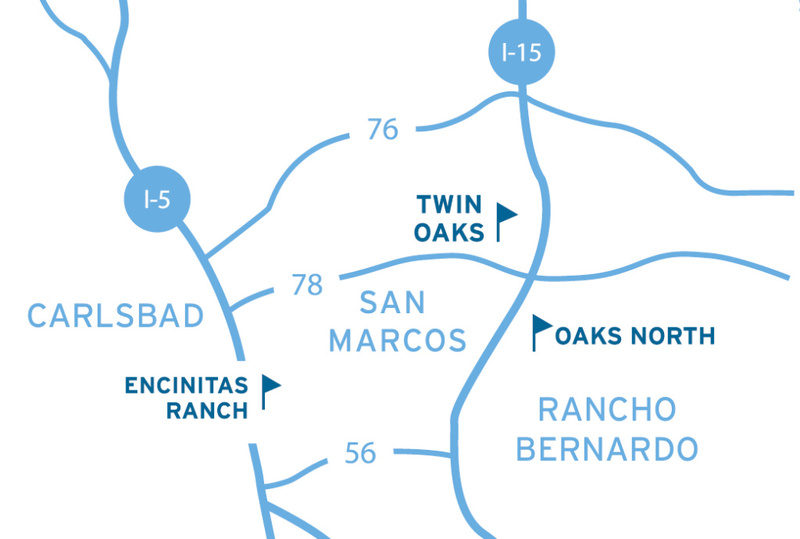 Group clinics and practice rounds can be played at three participating courses: Encinitas Ranch, Oaks North and Twin Oaks. Program is available for ages 18 and older. No clubs? No problem! Rental clubs are included. Tee times for practice rounds are available a half hour after super twilight. Reservations can be made online, over the phone or at the pro shop counter. Our friendly staff is available for assistance and to help with any of your questions.